Rome is a city full of adventure and beauty and you won’t ever get enough of it being there as a student abroad! When looking for a student accommodation Rome city center located or a rooms for rent in Rome Italy, the locations in which to stay are endless, cause everywhere you go you’ll get a glimpse of Italian lifestyle and the Eternal Cities magnificent vibes. While looking for Rome apartments for rent student friendly in the capital, keep in mind that you’ll be walking the same streets as the ancient Romans, as Caesar, as all the Popes that were and will be, by the american soldiers that whipped out the fascists, by the greatest artists, such as Michelangelo, and obviously the thousands of tourists that keep the city alive. If you are a student attending a language school in Rome the best idea for you to exercise italian is to share a student accomodation Rome located, and we are here to help you! In this section you can have a look at the rooms for rent in Rome, Italy and find the best Rome apartments for rent student friendly, from where you can choose from the ideal solution for you! StudentsVille has a large selection of student apartments Rome city center located, student rooms for rent in Rome, student housing in Rome, Erasmus Apartments Rome, cheap apartments, studio apartments, hostels, lofts, cheap rooms to rent, Bed and Breakfasts and Rome apartments for rent student friendly to pick from, I mean that’s a lot of places! So get on board and look for your favourite student accommodation or the cosiest roman loft you wish for. Keep in mind we also have a selection of Rome apartments for rent student friendly in the outskirts of Rome that will make the journey to most Erasmus and International Universities less stressful, in this section you can find a wide selection of the best hostels in Rome for students if you don’t want to rent in Rome loft apartments. Maybe you’re not only here for your studies, but for a little vacation; if that’s the case, don’t worry we also offer a wide selection of tourist apartments in Rome for you to look through! Enjoy yourself in Italy with StudentsVille!!! Two bedroom student apartment situated on the third floor with a lift in the university district par excellence, the nightlife in this district is very lively and very close to the student, also because of the presence of squares and clubs. San Lorenzo apartment is composed by two spacious bedrooms and an open space living room with an a fully equipped kitchen with a dishwasher, oven, microwave, toaster and kettle. There are also two bathrooms one of which with a shower and a washing machine and the other with a bathtub. Inside the apartment you will find all that you will need for a comfortable stay such as Wi-Fi, air-conditioning, bed linen and towels and kitchenware. Beautiful apartment situated in the district of San Lorenzo, it is one of the most famous student district and it is also a meeting point for most of the student. The apartment is situated in an area lively in the night and it is walkable and go around on foot. 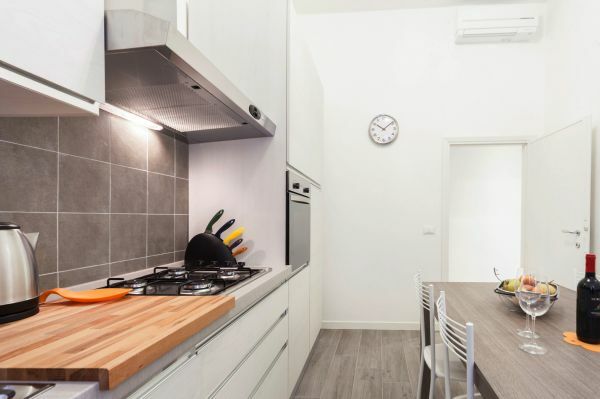 This student rental is situated really close to the university of Sapienza and it is surrounded by bars, pubs, restaurants, libraries and all that you can possibly need during your studies in Rome. Student rental accommodation situated on the first floor without a lift of a modern building in Via Alba in the student district of Rome called Tuscolano. This student apartment is composed by one double bedroom and one spacious single bedroom with a small balcony. There is also an eat-in kitchen and a separate comfortable living room with two sofas one of with a double sofa bed and a flat Tv. 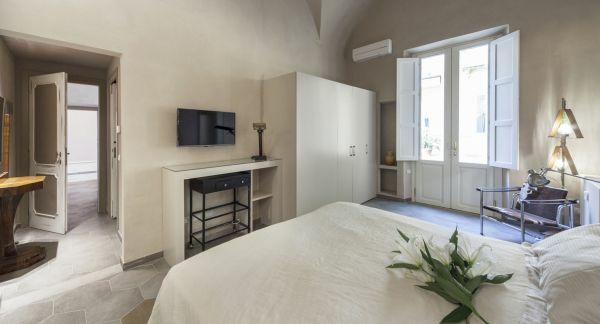 Inside the apartment you will find all that you will need during your studies in Rome, bedlinen and towels, kitchenware, Wi-Fi and air-conditioning in the bedrooms . 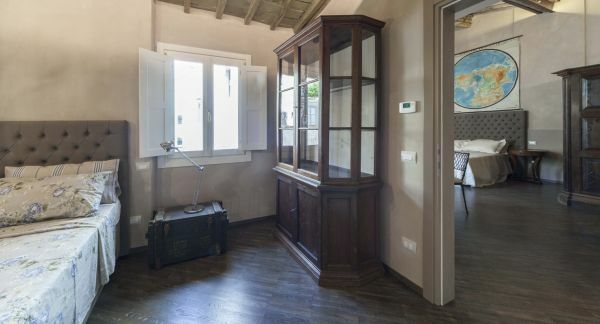 This student rental is located in the Tuscolano district that is served by the red subway line, close to the University of Tor Vergata, in this district you can admire the beautiful park of Parco degli acquedotti. In this district of an active nightlife and very well connected with the rest of the city with the means of transport. It is situated very close to the most important universities of Rome, and the prices of the rent are really competitive with the other district of the city. Student rental accommodation situated in Via di villa Belardi nearby the universities of Università degli Studi Internazionali UNINT, Libera Università del Cinema and Università degli studi Roma Tre. This district is one of the best residential areas of Rome. This student rental is situated on the second floor without a lift of an elegant palace. There are three spacious luminous and comfortable bedrooms, one open space living room with a fully equipped kitchen with dishwasher, microwave, kettle and toaster. Inside the apartment you will find bed linen and towels and all the kitchenware that you will need. The district where this student apartment is located is very typical and very picturesque, well connected with the rest of the city and with a lively and active nightlife. You will be surrounded by bars and pubs, restaurants and theaters. Student accommodation situated in via dei Corsi in the district of Tiburtino in the city of Rome. Triburtino student rental is composed by three bedrooms, two double bedrooms and one spacious single bedroom. This student rental features one open space living room with a fully equipped kitchen, a perfect space for your student social life! You will be provided with bed linen and towels and inside the apartment you will find all the kitchenware that you will need. Triburtino student apartment is located in the district perfect for who loves the quiet life of the residential area. Nearby the apartment you will find also the Triburtina station, the second most important railway station of Rome. The area where the apartment is situated is perfect for students due the proximity both to San Lorenzo (Sapienza) and the north-east branch of the Metro B. 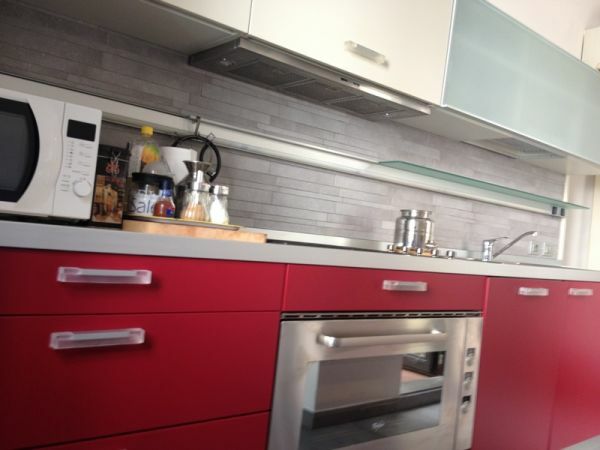 Two bedroom apartment located in Via Rimini in the district of San Giovanni in the city of Rome. The apartment is situated nearby the Universtà E-campus, LINFA university. In the area of san Giovanni, is where is held the concert of the first of May and next to the Basilica of San Giovanni is situated the residential and peaceful district of Rome. Rimini student rental is composed by two spacious single bedrooms with en-suite bathrooms with shower, an open space with a living room with a double bed sofa a flat screen Tv and a fully equipped kitchen, with a dishwasher, oven, microwave, kettle and toaster. This student rental is situated in a very residential district where the night life is not that active. This is the best area from where you can reach the Tor Vergata University and it is well connected to the commercial area of the Appia Nuova and the Metro A. Student studio flat situated in Via Meucci in the district of Marconi in the city of Rome. This student rental is located on the first floor of an elegant building without a lift. It is composed by an open space living room with a double bed sofa and a well-equipped kitchenette with microwave and all the kitchenware that you will need during your studies in Rome. 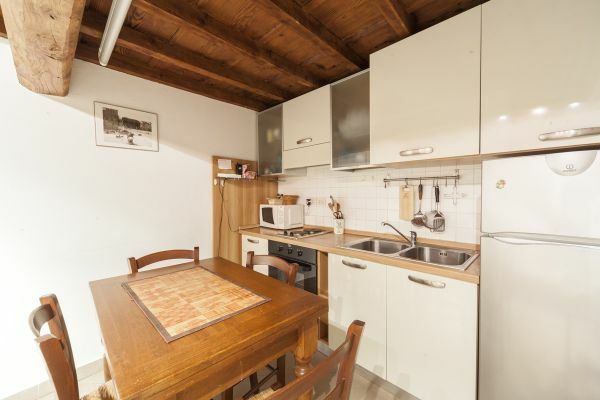 This is the perfect choice for short and for long term accommodations in Rome for students. Marconi student accommodation is surrounded by the most important supermarkets, shops, and from the most important universities of Rome, The Roma Tre University. This district is very populated and it is characterized by tall buildings and it is well connected to the rest of the city of Rome and to all the Universities of the city. 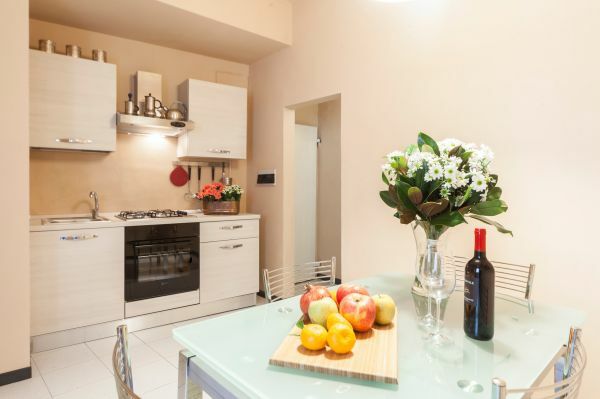 Beautiful student accommodation situated in Rome in the district of Monte Sacro. It is situated on the second floor of an elegant building with a lift and it is surrounded by The universities of Pegaso of Rome and most of the academies and universities of the city of Rome. This student apartment is composed by two double bedrooms, one bathroom with shower and a washing machine, one spacious and comfortable living room with a double sofa bed and a eat –in kitchen with all the appliances and utilities that you will need for a pleasant and a comfortable stay. 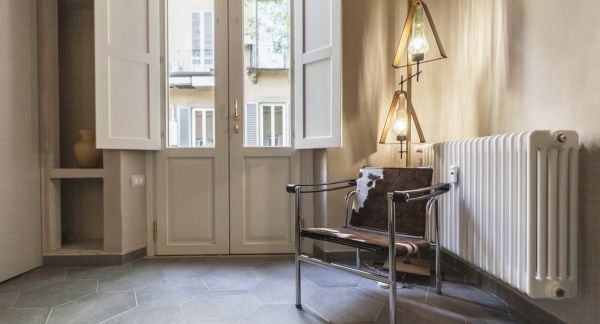 This student rental is located in a district full of history despite of not being positioned into the center of the city of Rome, also known as the “garden city” due to the numerous parks in the area. Despite being one of the most peripheral districts of Rome it is well served by public transport and it has a lively and active nightlife. Two bedroom apartment situated in the district of Rome called Prati, this districts includes the areas of San Pietro, Castel Sant’Angelo and Monte Mario, this is the preferred district by the foreign students in Rome. This student rental accommodation is composed by two double spacious bedrooms one open space living room with a double sofa bed and a fully equipped kitchen with a dishwasher, oven, microwave and a kettle. There are two bathrooms one of which with a shower and a wash and dry machine and the other with a bathtub. 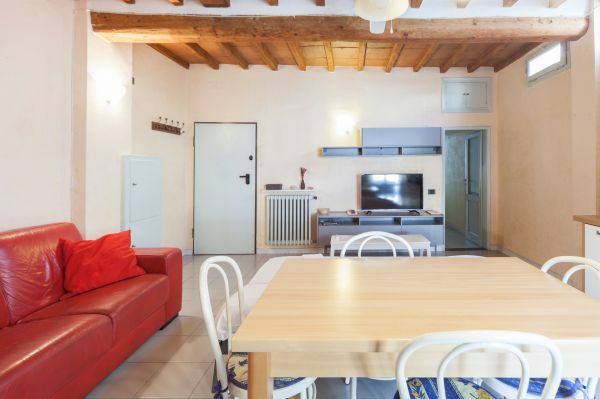 This is the perfect choice if you are looking for a quiet neighborhood nearby the historical center of Rome, especially for the students that attend the university of Lumsa or a pontifical university. If you are looking for an accommodation that allows you to live into the center of Rome and attend the university of your choice, this is the ideal solution for you. Studio student accommodation situated in the center of Rome in Via Cola di Rienzo, in the district of Prati in Rome. It is located on the second floor of an elegant building with a lift. This student studio rental is composed by one double spacious bedroom and an open space living room with a double sofa bed a flat screen Tv and a well-equipped kitchenette and kitchenware. You will be provided with bed linen, towels, wi-fi connection and there is also air-conditioning in all the rooms of the studio. This district is defined by everyone a quiet and nice neighborhood”. This student accommodation is the ideal solution if you are attending the universities in the center of the city of Rome and it is perfect for short and long term accommodations. 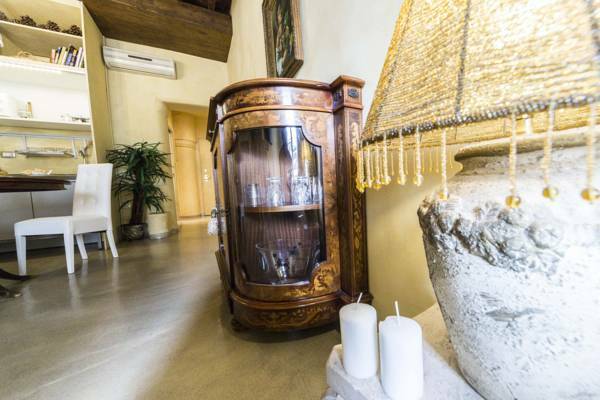 You will be surrounded by shops, restaurants, bars, pubs and the active nightlife of Rome and this area is situated nearby the most important monuments and tourist attractions of the city. Two bedroom student accommodation situated in the center of Rome in Via Carlo Bartolomeno in the district of Piazza Bologna. This student accommodation is composed by two spacious single bedrooms each one with a private bathroom with shower. Between the two single bedrooms is positioned the open space living room with a fully equipped kitchen with a small balcony that leans out on an inside garden. Piazza Bologna district is very famous and popular among students that attend the universities in Rome. The apartment is surrounded by bars, pubs, restaurants and it is well connected by the public means of transport. This is the perfect apartment for you if you attend the university La Sapienza, one of the most famous universities of Italy, and due to its proximity to all the main academies and universities of Rome. One of Italy’s most renowned universities, La Sapienza, is where most of the Italian elite has studied, because of its great curriculum and its location in Rome. Founded in 1303 it is still today one of the best Universities of Italy and also Southern Europe. If you’re looking for student accommodations in Rome to study at La Sapienza look no further cause StudentsVille has got you covered. 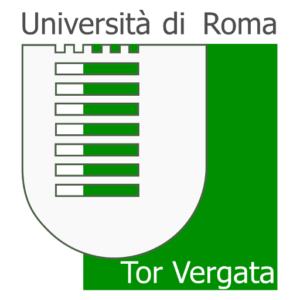 Founded in 1982 after the division from La Sapienza, Tor Vergata is one of Rome’s most prestigious universities, it is located in the suburbs south east of the city and has a profound liberal arts program while having a great career orientation in Economics, Engineering, Sciences and Medicine. If you’re looking for student accommodations in Rome to study at Tor Vergata look no further cause StudentsVille has got you covered. One of Rome’s first major private universities, LUISS, is in the heart of the city, between Parioli and Trieste (the district or “rione” not the city). Its foundation in 1974 by Umberto Agnelli of the Italian Agnelli family (Fiat/FCA) has a variety of undergraduate, post-graduate and joint degrees in finance, business, law and politics. If you’re looking for student accommodations in Rome to study at LUISS look no further cause StudentsVille has got you covered. 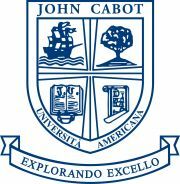 Born in 1972 as an Italian annex to Hiram College, John Cabot is in the picturesque iron of Trastevere. Its focus on liberal arts wasn’t always what it was famous for, as per records we see that most of it’s first students were Business Majors. Today the University hosts a variety of courses ranging from Political Science to Communications. If you’re looking for student accommodations in Rome to study at John Cabot look no further cause StudentsVille has got you covered. Founded in 1969, the American University of Rome (AUR), is Rome’s oldest American university. Stemmed from the idea of David Colin, American journalist living in the eternal city during the war, it became a staple for cross cultural exchange between American and Italian intellectuals. If you’re looking for student accommodations in Rome to study at AUR look no further cause StudentsVille has got you covered.